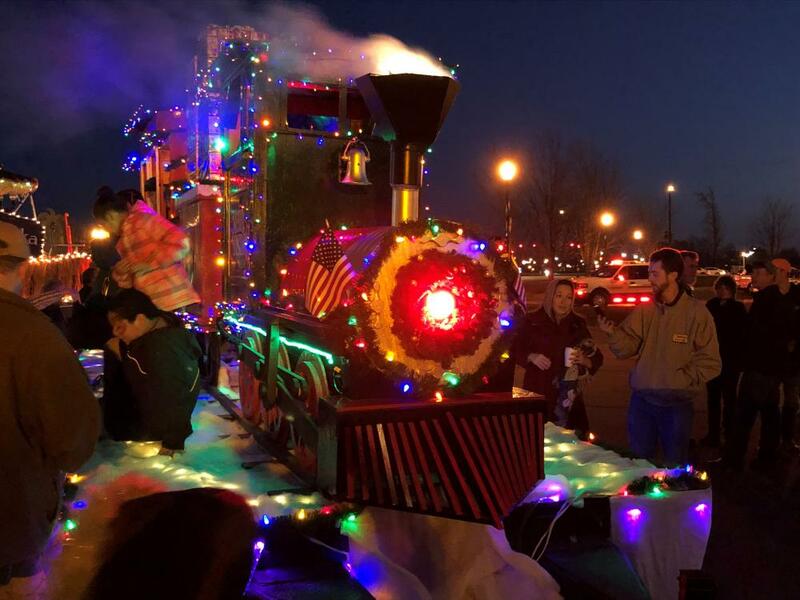 DPW's train with steam flowing from the locomotive shared top honors for best float in the lighted parade float competition. Entries from each City department took part in "A Lawrence Christmas" parade. Members of Lawrence Township School's Marching Pride Drum Line led the parade, followed by the Fierce Felines. Santa and Mrs. Claus closed the parade, arriving in a horse-drawn carriage. Mayor Steve Collier lit the City's tree after a short concert featuring MSDLT's acapella choir.